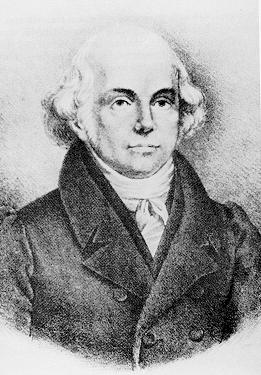 Homoeopathy is a holistic system of medicine founded by a German physician, Dr. Samuel Hahnemann in 1796. Hahnemann had studied chemistry, metallurgy and was adept at several languages before he studied medicine. He grew discontent with the practice of medicine and increasingly apprehensive of the harm that could result from the methods of treatment common in the medical practice of the day, Hahnemann virtually withdrew from his profession and devoted his time and energies to translating medical works. In 1970, he was at work upon a Materia Medica by a man known as William Cullen. Cullen supported the idea that Peruvian Bark was effective in intermittent fevers because of its tonic effects on the stomach. With his knowledge of chemistry and medicine, Hahnemann opposed this vigorously, stating that no fever specific could be made by combining the strongest bitters and astringents, which would have more of these properties than Peruvian Bark. He thus owed the effect of Peruvian Bark to a so-far undiscovered principle. In his search for the truth, Hahnemann experimented on himself with quantities of Peruvian Bark and to his surprise, he discovered that he started to develop symptoms of intermittent fever which Peruvian Bark was known to cure. Once he discontinued the medicine, he returned to good health. This was the first milestone towards development of the new method of treatment. What he had lighted on was the law of treating likes with likes – ‘Similia similibus curentur’. He continued his experiments and observations with different substances and confirmed his conviction that treatment should be by substances which, when taken in more or less substantial doses, could throw up in healthy persons a complex of symptoms like those characteristic of the disease or disorder to be treated. He finally published his findings in 1796 and this marked the birth of Homoeopathy. Hahnemann wanted to reduce the side-effects of medicines given in substantial doses and he found that he could dilute natural medicinal substances in a particular manner such that the therapeutic power got greatly enhanced while the harmful effects got reduced further and further. This was achieved by a process called Potentization. Nowadays all Homoeopathic medications are made in a scientific manner in licensed laboratories which adhere to the strictest controls of purity and identity.These Homoeopathic medicines are then sold to the practitioners via licensed Homoeopathic Pharmacies. The Role of Vaccines in Chronic Disease – Richard Moskowitz, M.D.